Mumbai: The suspense has finally ended. 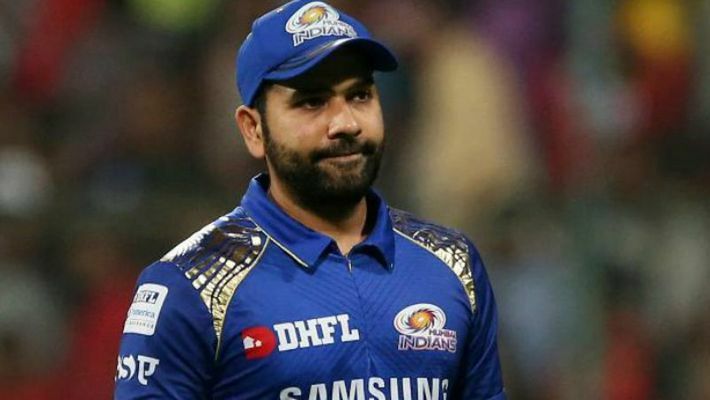 Mumbai Indians captain Rohit Sharma is out of the crucial IPL game against Kings XI Punjab on Wednesday due to a groin strain. Krunal Pandya is expected to lead the Mumbai side in the absence of Sharma. During a training session on Tuesday, Sharma experienced pains in his right groin and collapsed on the ground. He was put under the observation of doctor and physiotherapist Nitin Patel. A Mumbai Indians source confirmed that Sharma would not be playing today's match. He said, "After yesterday's incident he was under observation. We took the call today morning to give him rest. Mumbai Indians have to play another six to seven matches in the tournament. The World Cup is also round the corner, so we dont want to take a risk". Rohit has suffered hamstring problems in the past and was told that his injuries were not very serious by team officials. The final World Cup squad list will be announced on April 15. It begins on May 30 and India play their first match on June 5.